" … my SelfPromotion gland still quakes at the thought." The thought of SelfPromotion turns me into a quivering ninny, so I engage in it surreptitiously, hoping nobody will notice. I post unrequested pieces on Facebook, quietly hoping nobody will see, let alone comment, on them. I feel that I need to keep up appearances but pray that I won't appear too awfully forward as a result. The Muse insists that I sometimes expose too much, which might be a counter phobic reaction to my sincere hope that I won't expose too much. At the same time, I'm convinced that the most personal turns out to be the most universal, so I figure I broaden my audience by focusing upon my personal experience. I live a fundamentally paradoxical existence. I have not yet learned how to tell what a reader might want, much less what any market desires. I struggle to read my own mind without expending much energy trying to read anyone else's. I figure that those who believe they can anticipate what a reader wants focus upon a contradictory target, especially if the writer's real job entails surprising their readers. Since I only rarely ever know where a piece will end when I start writing, I believe that the reader shouldn't get to know, either. The surprise ending makes the piece work, so much the better if both the writer and the reader get to experience it. Simply delivering to expectations improves nothing. My reach has mostly been limited by my self-consciousness when encountering the need to self promote. I have a long list of half-written proposals and queries, produced in a passionate if dissociative fog only to be abandoned before the sun came up. Leads unfollowed. Introductions unanswered. Opportunities forfeited. 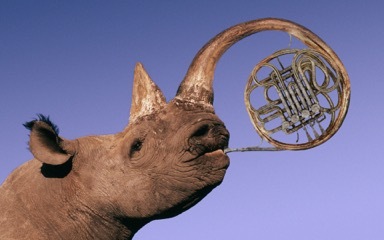 Each situation ultimately distills into a request for me to toot my own horn. Why is this work better than others? Why me? I never know the answers to these sorts of questions and finally just fall asleep fussing over how I might ethically answer the least of them. I reflect that I'm the guy who experiences the creation of everything I've ever created, a unique experience no reader, reviewer, agent, or publications editor ever accesses. However fine the end result, the tool marks seem obvious to me, so I might be my own worst critic. With all humility, I have no way to judge the quality of my product. I have my fans. Detractors, too, so who gets to say what's worthy of publication? In these times where self-publishing comes easily, anyone, even a crayon scribbler, can post whatever they choose. My best seller required little up-front self-promotion. After publication, it sort of took on a life of its own, the perfect promotion pathology for a guy like me. I have been working for months prepping one of my series for submission for publication, but the effort seems to drain my vital life force each time I engage. I might be terrified of rejection and so quietly rejecting myself in lieu of preparation. I hide out from the chore, and it seems like the most demanding work I've ever engaged in. I might seem too mature to credibly cower in the face of any challenge, even one I posed for myself, but here I am. I'm still writing most days, and I've lost count of the number of unsubmitted submissions I have backed up like ponds behind successive beaver dams. I know that I'm the beaver damming my own flow. I'm thinking that I really should find an outlet eventually, but my SelfPromotion gland still quakes at the thought.